The easiest and fastest way to make an excellent pot of red beans and rice without skimping out on the flavor is to use Blue Runner canned Creole-Style red beans. 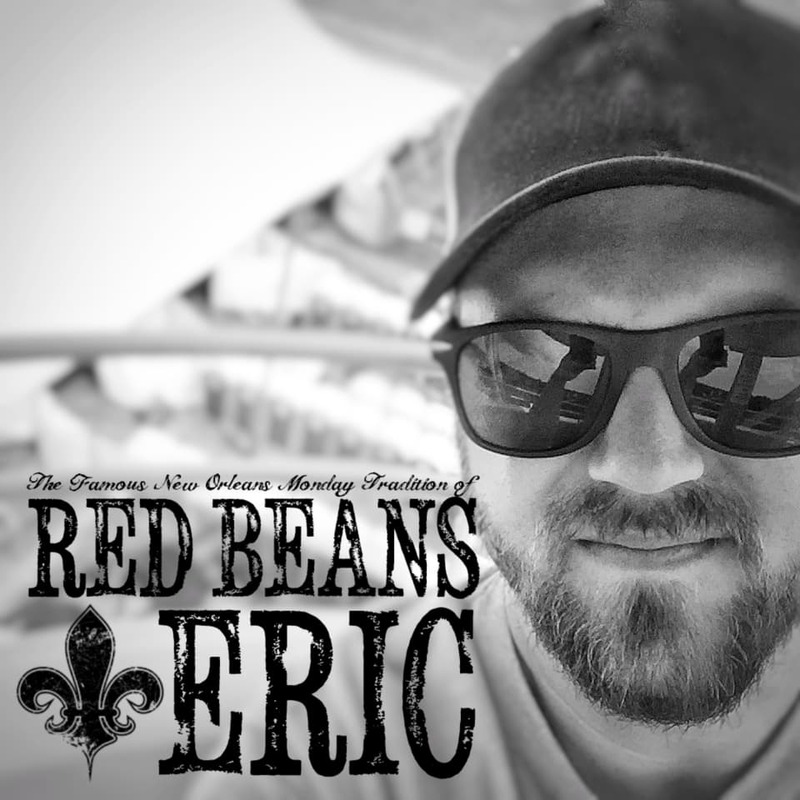 I use this easy Blue Runner Red Beans and Rice recipe when I don’t have time to slow cook a pot of dried beans on the stove top, or when I’m up north at our family cottage and we’d rather cruise around the lake on the rowboat instead of keeping a watchful eye on a pot of beans. And that’s a true story. My wife loves Blue Runner beans and it’s more of a treat when I cook them compared to when I use Camellia red beans – which is the majority of the time. I either order Camellia beans online or receive them as gifts so it seems like I have an endless supply of them. For some reason when it comes to Blue Runner, I don’t know if it’s because they’re in cans and they’re heavier, but I’d rather get them when we go down south to either visit family or go to New Orleans. I quickly did a search and found the Walmart Supercenter on Bullard Avenue. On our way home on I-10, we just so happened to swing by that Walmart and ended up spending a small fortune. In fact, we spent more money on that trip to Walmart than our three-day stay at Place d’Armes in the French Quarter! I admit it, I bought a lot of beans. There were walls of Blue Runner canned red beans, for god’s sake! We snapped a picture of the billboard and thought about circling around again for a better shot! I still can’t believe that we freaked out and became emotional from seeing a billboard for Blue Runner red beans. Pull up a picnic table, enjoy great outdoors, and have an amazing bowl of red beans and rice! What do you like to include in your Blue Runner red beans and rice meal? In a large pot, heat the olive oil over medium heat. Saute the diced bacon bits and ham. (The ham that I used was leftovers from a seasoned ham cooked at Christmas time. The ham was seasoned with Creole seasoning. This added a nice depth of flavor to the final outcome of this meal. To achieve the same effect, you can add 1 tsp of Creole seasoning to this step, if desired.) After five minutes, add the onion, green bell pepper, celery, and garlic to the pot and cook until the trinity has softened, about 8-10 minutes. Carefully pour the chicken stock into the pot along with adding all the seasoning: Creole seasoning, basil, oregano, red pepper flakes, white pepper, and the bay leaves. Mix the seasoning in with the added stock and be sure to scrape up any bits of bacon or ham that stuck to the bottom of the pot. Add the cans of red beans to the pot and mix well. I feel that two cans is perfect but you could add a third can if desired. If you use a third can and the consistency is to thick, either add more chicken stock or water. Bring the pot to a boil, cover, reduce heat and simmer for 25 minutes. Remove bay leaves and discard. Serve the red beans with hot cooked white rice. You can garnish with parsley, green onions, or crumbled bleu cheese. If you need the red beans to be thicker, you can add a third can to the pot; keep the pot simmering until all of the beans are heated through. If the beans are too thick for your taste, slowly add more chicken stock or water to the pot until you get the consistency that you like. 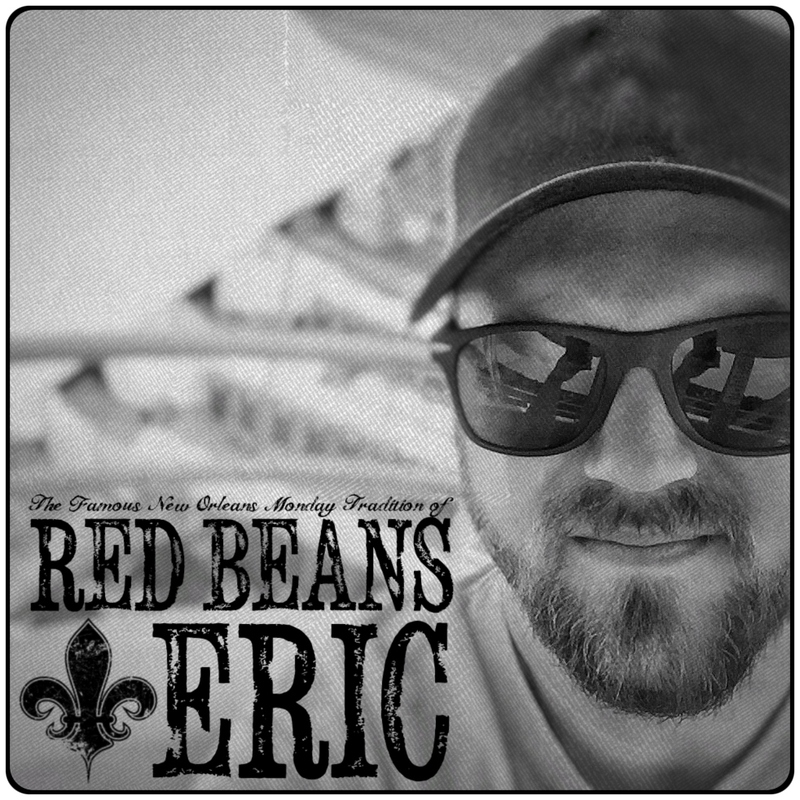 If you enjoyed this recipe, please subscribe to the Red Beans & Eric Newsletter so you don’t miss another recipe, interview, or who knows what else. And by signing up, I’ll send you a free e-cookbook that includes some of the most popular recipes that I’ve created for the website. You can always stay in touch with me by leaving a comment in the section below, by clicking here or messaging me on any of the social media sites that I am on. If you take a photo of any of the recipes that I’ve published here, please tag it using #RedBeansAndEric so I can find it! Yum! I have never thought to serve beans with rice. But your meal sounds awesome! It is also nice to see a food blog written by a man for once. Great work! Ha thank you, Lynneah! Red beans and rice is an amazing tasting meal! Ha ha….gotta love the Blue Runner. We keep cans in the pantry, that and the white beans…the black beans are pretty good too. But we add sausage, Tony’s, onion, garlic, bell pepper….heat that up. As good as any red beans really.